Alexis Soloski blogs on The Guardian's website about Sylvia Plath's "Three Women" and more in "What makes a play unstageable?" Of course, I'm in the camp that views "Three Women" as a poem based on how Plath refers to it in Letters Home and how typescripts I've seen held in various archives call it "A Poem for Three Voices." Some of these are contemporary to its first radio broadcast in August 1962, too. But, I'm also open to it being produced and termed as a play, given the narrative structure. Somehow I missed Alexis Soloski’s write up on the imminent Robert Shaw production of Sylvia Plath's “Three Women” at Manhattan’s 59E59 Theaters on the Sept.21st. While the article has been online for a few days, it just ran in Sunday's (Sept. 26) print edition, see page 7 in the AR section. Read the article here. Lucas Myers’ new book An Essential Self: Ted Hughes and Sylvia Plath is now available for purchase via Inpress Books for immediate dispatch. Copies were featured for sale at the Ted Hughes Conference at Pembroke. Now that fall is here (Hello Fall), let’s take a brief look at what people in New York City have to look forward to this season. Broadway World has a preview of Robert Shaw’s production of Sylvia Plath’s “Three Women”. and Edward Anthony’s “Wish I Had a Sylvia Plath” starring Elisabeth Gray. New York Theater Guide has also written up “Wish I Had a Sylvia Plath”. I’ve recently had an email from Robert Shaw stating that rehearsals are underway in Manhattan with the cast starring Francis Benhamou, Angela Church, and Kina Bermudez. I’m told that the set will be slightly redesigned from the performances in Edinburgh (for any repeat attendees). Look for some media coverage around 3 October in the New York Times. You can find more information on “Three Women here” and on “Wish I Had a Sylvia Plath” here. And, don’t forget that Plath is being inducted into Poet’s Corner in New York’s own Cathedral Church of St. John the Divine. Read about it here. If you happen to live in England, you might want to plan to be in the Hebden Bridge & Mytholmroyd area between 15-17 October for a three day 2010 Ted Hughes Festival. On Sunday the 17th, ticket holders will get to meet and hear Daniel Huws - who rarely gives public readings - read from his poety and “answer questions about Ted Hughes.” Huws, you may remember, is the author of the scandalous review of Plath’s lengthily titled poem “‘Three Caryatids Without a Portico' by Hugh Robus: A Study in Sculptural Dimensions”. The review appeared in Broadsheet and read "My better half tells me 'Fraud, fraud,' but I will not say so; who am I to know how beautiful she may be?" Congratulations and thank you to Marisa, an archives assistant, for answering correctly! Marisa could buy a nice copy of The Bell Jar with that money! Sylvia Plath features, briefly, on page 164 of Ian McEwan’s most recent novel Solar. Naturally my antennae paid quite close attention to this development in the novel. So, disappointed was I to read that the normally careful McEwan placed the flat in Primrose Hill at Fitzory Street. But that’s obviously not right at all! Fitzroy Street sits squarely in the middle of Fitzrovia, near Euston Station and the BT Tower. Not Primose Hill at all. For the paperback edition, please consider changing it to the correct name: Fitzroy Road. Also, see pages 122-126 for, perhaps, one of the most clearly written, evocative,exotic and mouth-watering descriptions of all time of what it is like eating Salt and Vinegar crisps. McEwan’s bringing Plath comes on the heels of Britain’s other literary giant, Graham Swift, who’s chapter “Fishing with Ted, Devon 1998” in 2009’s Making an Elephant: Writing From Within is about his friendship with Ted Hughes. Ted Hughes is in the news again, this time for letters that his sister Olwyn recently sold to the British Library, the BBC reports. While speaking at the Ted Hughes Conference at Pembroke College Cambridge, Helen Broderick, Curator of Modern Literary Manuscripts at the British Library, broke the news. The archive of 41 letters from Plath and Hughes compliments their existing Hughes acquisitions and holdings. They include some unpublished Hughes poems and a play; but from the BBC report it doesn't appear that any new Plath creative works are included (unless you count kindly sentiments for her sister-in-law). Missing from the BBC report, however, but included in others floating around the internet, is the following, "The literary drafts in the archive highlight the creative development of both poets and many of the drafts were later published in Lupercal and The Colossus in 1960 by Hughes and Plath respectively. " If I'm reading this right, there are drafts of Plath's works included in this small archive. The British Library Press Release has the most complete summation. I've a couple of moles planted in the audience and hope to get feedback and/or reports during or shortly after the papers are given. The archives of the periodical The Review are held by the Northern Illinois University Rare Books and Special Collections Department. As many of us know, the October 1963 issue of The Review featured Plath. In addition to printing nine poems, the Plath issue ran an well-known article by A. Alvarez, which he wrote for a BBC broadcast from July 1963. Box 1 Folder 9: Typescripts of seven poems by Sylvia Plath ("Daddy", "Lady Lazarus", "Fever 103°", "Nick and the Candlestick", "Brasilia", "Mary's Song", and "Lesbos") and typescripts of A. Alvarez's radio program "The Poetry of Sylvia Plath" (three copies, once of which is a BBC transcript). Box 6, Folder 67: Letters from Ted Hughes to Ian Hamilton. Aside from certainly being from 1963, the letters are undated. For more information about this collection, contact the archivist via their website. And click here to view the finding aid. Our thanks must go to Gina Hodnik for bringing this collection to our attention in her paper “Early Public Representations of Sylvia Plath: An Analysis of the Sylvia Plath issue of The Review” in Plath Profiles 3. You can find more archival repositories holding Sylvia Plath's papers or papers relating to Sylvia Plath on my website. 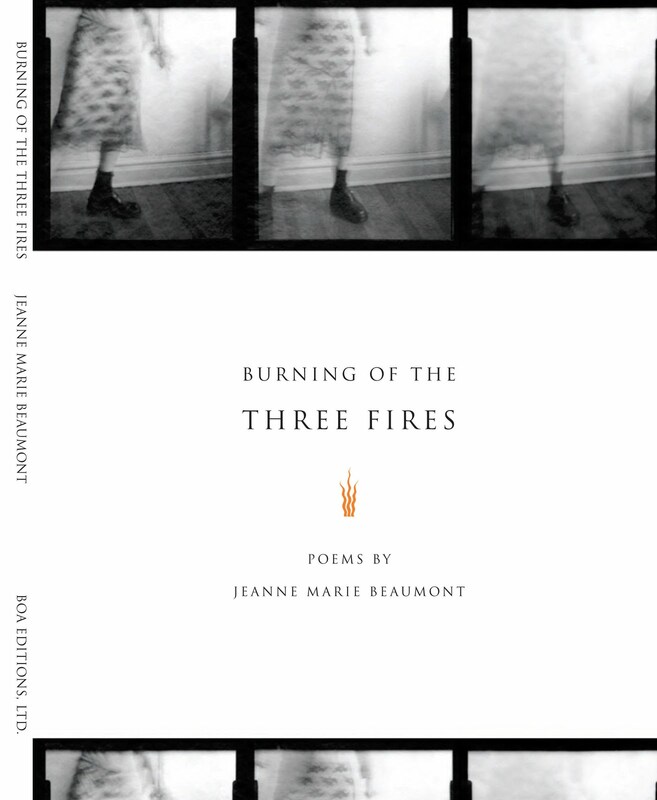 Recently published by BOA Editions is Burning of the Three Fires by Jeanne Marie Beaumont. Beaumont’s new collection includes three poems from her suite of poems on Sylvia Plath. The good news about this is that there are more poems in the suite! I first learned of Beaumont and her Plath poems in the journal Court Green which featured a Dossier on Plath in their fifth issue. 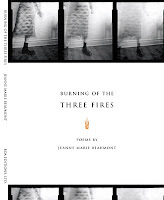 Re-reading the two Court Green poems in Burning of the Three Fires --“[EXIT CORPSE]” and “Channeling Sylvia: 8-Ball (Interrogation)” -- again brings to my mind Beaumont’s freshness, playfulness, and originality of poetic interpretation and inspiration. The third poem “Hail” was new to me and is a seamless fit into her Suite. P.S. If you like "[EXIT CORPSE]" which takes its lines from Plath's novel The Bell Jar, you might also like Sarah Nichols' "An Air Crackling With Blue Light" from Plath Profiles 3. While you all have been enjoying Plath Profiles 3, we've begun work for Volume 4. The following has been posted on Plath Profiles for your attention and consideration. As Guest Editor for Plath Profiles 4, I invite submissions which explore the idea of Plath and Place via essays, art work, photography and poems that examine the importance of places and spaces for Plath in her own life and work. The notion of secular pilgrimage seems to be strongly associated with Plath and yet today, with the rise of the internet, both pilgrimage and geography in many ways are not quite as stable as they may have once seemed; for example, with Google street view we can (virtually) walk the streets Plath walked in any country she visited. And while literary pilgrimage may be nothing new, the motivations for people visiting the site of a poem or a journal entry are multifaceted. I have recently become interested in the idea of surrogate authorship, that is, one reason why people enjoy places associated with Plath is that they can see a place which she then transformed into a text or a poem and in some way feel a part of that creative transformation. However, I am sure there are many other reasons and ideas out there that would make wonderful essays, art work, or other contributions to me by 1 April 2011. Please be sure to read the submission guidelines below before submitting your work. Essays on Sylvia Plath and Place should be submitted via email to Gail Crowther; please read the Submissions Guidelines for more information. Vanessa Thorpe in Sunday's Observer publishes "Sylvia Plath fans call for a fitting memorial to the poet." Being that two of my good friends, Gail Crowther and Elizabeth Sigmund, were quoted in the article, I have to say outright I knew it was coming. I found both of their comments very sensitive and smart. The article was supposed to be about Elizabeth's poem "Shep-en-Mut" which appeared in Gail and Elizabeth's paper "A Poem, A Friend", recently published in Plath Profiles 3. But the article took a turn for the dramatic, as they are want to do by the editors wanting to get more hits and sell more papers. Can't fault them there, honestly. But it is a little disappointing to have had some expectation that were dashed and shattered. This is probably my own fault for foolishly being optimistic that Gail and Elizabeth's paper would receive some press, and that this might then give Plath Profiles greater visibility and awareness through an increase in readers and contributions. That being the case, I do agree with the article that Plath's grave is relatively neglected by her family and, along with Gail and many others, I can and would give money to the Church or a fund for more considerate, consistent care. And, I would also encourage those making the pilgrimage not to leave stuff (i.e. crap), however well-intentioned it may be meant to be, on the grave. In addition to the family, it is our own responsibility to care for the grave. However modest the stone may be it is a memorial, it is a tribute. In the fourth paragraph there is a pretty bad error that I hope will be corrected. The link to a "popular Plath website" is wrong. The link should take readers to Plath Profiles but as of now it sends them to my blog. I appreciate the link and therefore by association the sentiment that my blog is popular, but it is erroneous. As with any summary or biography of Plath that spans one or two paragraphs, brevity seriously affects accuraccy and clarity. Particularly the third to last paragraph. For any readers new to Plath, courtesy of Thorpe's article, please read the online biography on my website, A celebration, this is. And, please read Plath Profiles. All this being the case the message of the article is one I must back. The Observer was a supporting newspaper to Plath from 1959 so it is great that they still write about her; so I appreciate the coverage. For decades now the gravesite has been a contested, sensitive issue. Fortunately the name hacking stopped and while I suppose I understand the idea or rationale behind it, it is disrespectful to Plath's memory to do so. Likewise, it is simply disrespectful of her fans and readers to leave mementos which turn, sadly, into rubbish. Take pictures, they last longer. From 5-31 October at New York City's 59E59 Theaters, you can see Three Women by Sylvia Plath, directed by Robert Shaw. Robert recently sent me the cast list with the intention that this blogs readers be amongst the first to know! If anyone out there is planning to attend and feels charitable to assist in bringing Three Women to New York & to an American audience, please consider a donation to Three Women's page on Kickstarter, a fund-raising project started by the director. There is even a short video excerpt of one of the previous performances. Lastly, the event that is Three Women is now on Facebook. The Cathedral Church of St. John the Divine’s Poet in Residence and Electors have chosen Sylvia Plath as the 2010 inductee to their Poets' Corner. Plath will join such poets as Walt Whitman, Emily Dickinson, W. H. Auden, and Tennessee Williams, last year’s inductee. The Poet’s Corner was established in 1983, and each poet has a stone engraved with a line from her or his work. The Cathedral will present a program celebrating Sylvia Plath on Thursday November 4th at 7:30 p.m.; the formal induction will take place on Sunday the 7th at the 4 p.m. Evensong. At this time, the Cathedral staff are still putting the details of the two events together with Marilyn Nelson, the Cathedral’s Poet in Residence. Confirmed participants in the program include Carol Muske-Dukes; Annie Finch; and Karen V. Kukil. Additionally, several young poets connected with the louderARTS Project in lower Manhattan; former Poets in Residence; the Cathedral’s Electors; and many from the extended poetry community to attend. The Cathedral Church of St. John the Divine is located at 1047 Amsterdam Avenue, New York, New York 10025. This is in the area of Columbia University, whose Rare Books and Manuscripts Library holds a respectable collection of Plath first and limited editions; including rarities such as Sculptor (an off-print from the Grecourt Review that many consider a separate, monographic publication) and About Sylvia by Diane Ackerman and Howls & Whispers by Ted Hughes. The event is free and open to the public. More information will appear here as I learn of it.